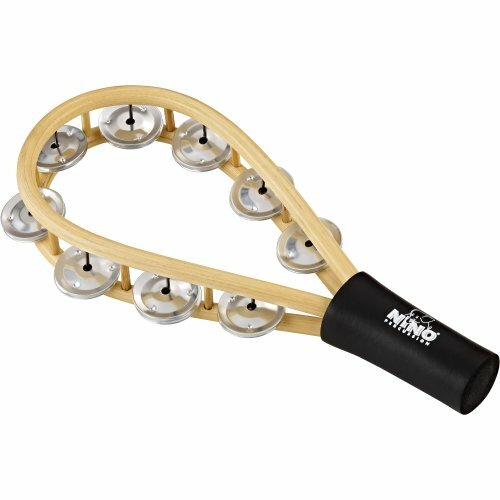 The NINO Racket Tambourine features a sturdy rattan frame along with a nice sparkling sound. It is available as a one row construction with 9 aluminum jingle pairs. An ergonomically shaped handle makes it perfect for children hands.